A new signing for the 2018-19 season, attacking midfielder Rico has done the rounds at a number of West Midlands non-league clubs including Sutton Coldfield, Tamworth, Stafford Rangers, Bedworth and Hednesford. 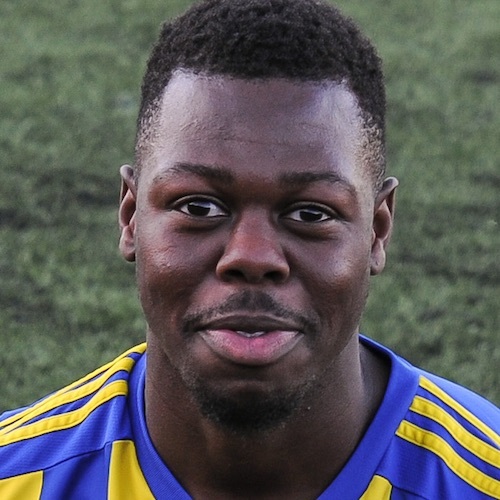 ‘Reeks’ made his debut for Khalsa as a substitute for Mensah Kinch in a 4-1 league win over Wolverhampton Sporting in August 2018 and bagged his first goals for the club the following month, smashing an eight-minute hat-trick against Stone Old Alleynians in the FA Vase. He left the club to join Boldmere St Michael’s in December 2018 but returned to the Aspray Arena two months later. Rico once did the Three Peaks Challenge for charity dressed as Nelson out of the Simpsons.